Doo Dah’s is a website that I was asked to write by a family member as a favour to a friend. While I am not a Professional Web Developer, I always enjoy the challenge of developing a website and enjoy helping people. 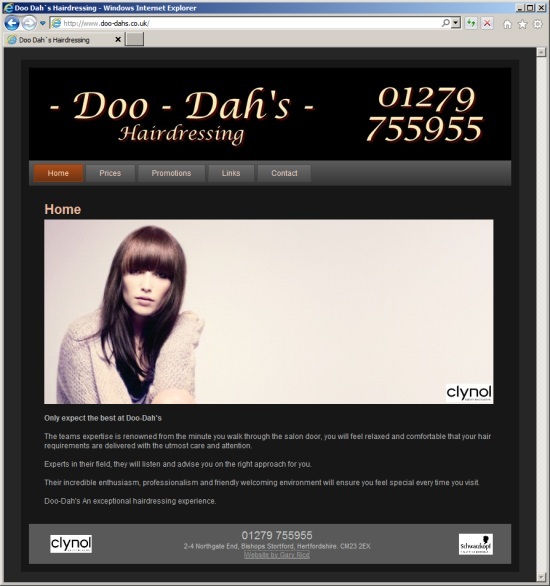 If you live in the Bishops Stortford area and need a hair cut, why not look them up and give them a try?